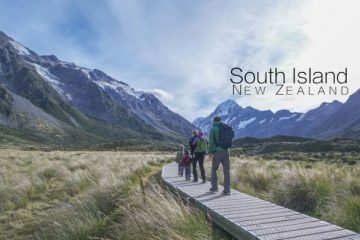 It may take a long, long time to get there but rest assured, New Zealand is well worth the effort. The country isn’t too dissimilar to the UK in terms of culture, but it is about 50 times more beautiful with a ridiculous amount of adventures right on the doorstep. Comprised of two islands, the north is known to enjoy balmier weather and plays host to the majority of the 4-million strong population. In contrast, the South Island is considered to be much more wild and rugged. Indeed, it’s this island where you can find the majority of the mountain ranges. 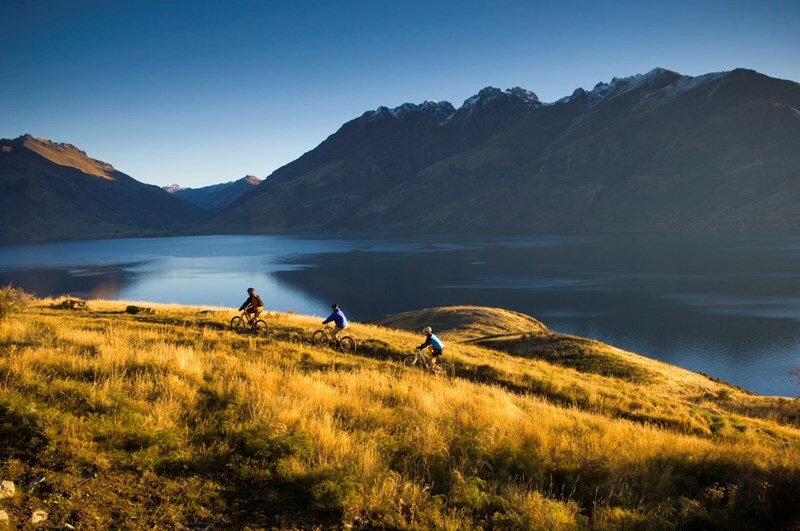 Whether it’s wildlife, watersports, mountains, beaches or taking to the air; New Zealand has it all. You can be jumping out of a plane one day, going to relax in a natural geothermal spa the next and when the daylight comes to an end there is a vibrant nightlife too (so long as you are near a large town). Fortunately, there are amazing, sandy beaches on both islands offering up great swimming and surfing for those who are so inclined. Hot Water Beach on the Coromandel Peninsula is well worth checking out on the North Island. Two hours either side of low tide it is possible to dig a hole in the sand only for it to fill up with hot water from the geothermal activity underground making your own personal thermal pool. 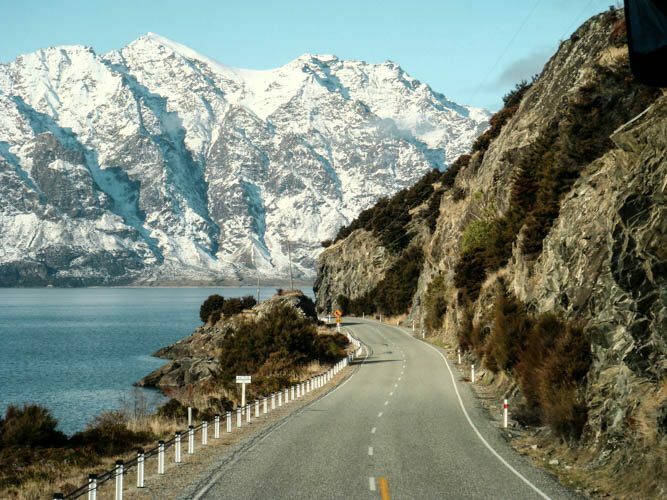 Kiwis also tend to be among the friendliest, hospitable and laid back people in the world which is perhaps why it’s so common to hitchhike around the country. You’ll certainly find yourself feeling more relaxed while you visit which may be down to the locals, the nature or maybe just because there is less traffic. While all of that is great, the real lure for travellers has to be the remarkable amount of adventurous activities on offer and the incredibly beautiful landscapes they can take place in. 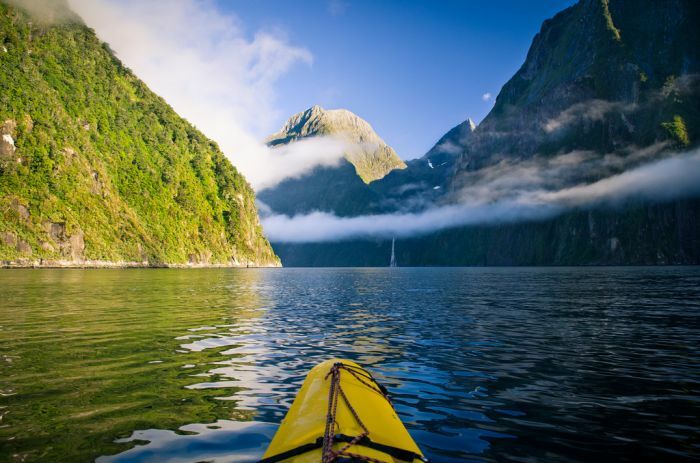 With that in mind, here are our top five activities in New Zealand. 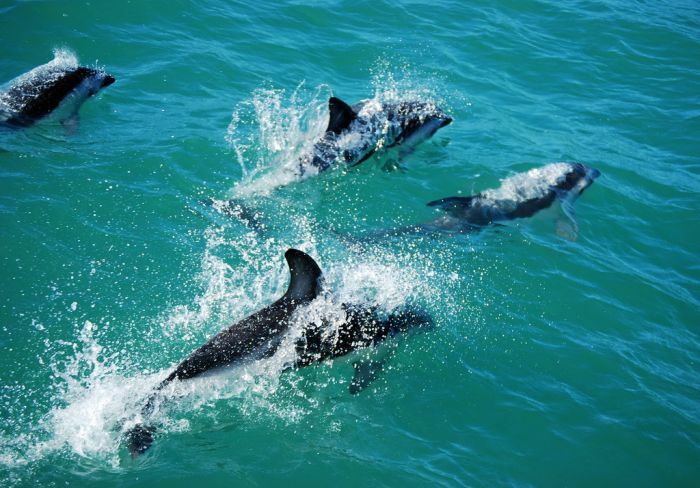 Kaikoura is renowned to be the best spot in New Zealand for some wildlife spotting and we can see why. Pods of whales and dolphins are frequently spotted by visitors securing unforgettable, lifelong memories. If watching isn’t enough, there are even chances to get in the water to swim with these majestic dolphins. Wildlife is regularly on show elsewhere too with penguins and seals a common sight in both Abel Tasman National Park and on Milford Sound. In fact, they’ve even been known to swim under and around you if you are out kayaking! 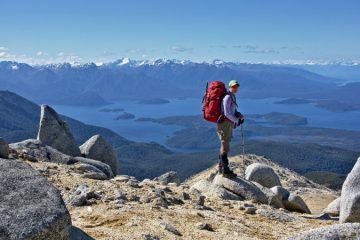 The Routeburn Track, the Keplar Track, the Tongariro Alpine Crossing… There are so many great hiking tracks around New Zealand that you really are spoilt for choice and that list could go on and on! The Tongariro Alpine Crossing is one of the greatest one day walks in the world and it’s one that cannot be missed. 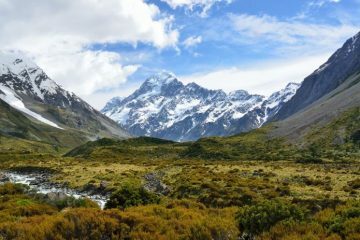 Similarly, getting a glimpse of Mount Cook (3,724m) is also a thoroughly rewarding experience and it is a very foreboding peak. 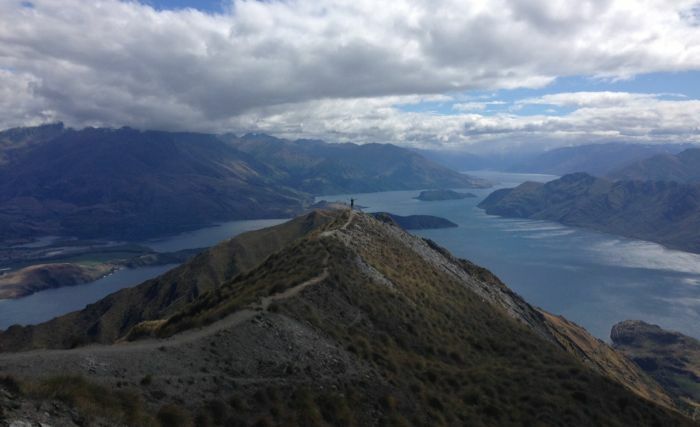 A personal favourite of ours is hiking to the top of Roy’s Peak (1,578m) for views over Lake Wanaka and up to the peak of Mount Aspiring (3,033m). If there is anything you can be sure of though, it’s that you’ll never be far away from a great track and an incredible view. 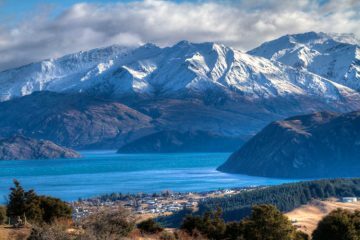 Rightly known as the adventure capital of the world, Queenstown is a great place to spend some time. In the winter there is amazing skiing in nearby mountain ranges but it’s the airborne activities we want to talk about. If bungee jumping is your thing you’ve come to the right place, especially as Queenstown is home to New Zealand’s highest bungee at 134m. Fancy something with a bit more altitude? 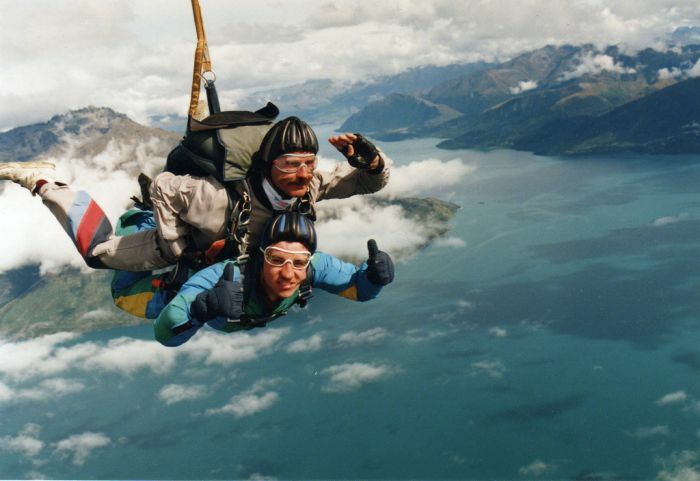 Try jumping out of a plane at 15,000ft and hurtling toward ground at over 120mph. After what feels like an eternity with your heart trying to escape from your chest you’ll find yourself gliding back to ground surrounded by astounding views of the lakes and mountains below. 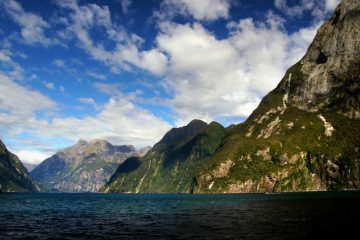 Located on the west coast of New Zealand’s South Island, Milford Sound is an ever-present on a most people’s bucket list and there’s a good reason why. Well actually, there are a lot of reasons why. Visually it is a stunning area with majestic waterfalls, remarkable peaks stretching up into the sky and amazing wildlife encounters. Even the drive to get there will leave you awe-struck. While most people tend to join a cruise, kayaking is definitely the way to go. You may not cover as much ground as the cruises, but you can really get up close and personal with the environment in what is a rewarding and incredible experience. If you’re lucky you might even get a close look at some of the dolphins, seals and penguins that are known to these parts. What better way to see one of the world’s most beautiful countries than cycling the length of it? The journey will take you through a range of remarkable landscapes, from mountain ranges to cities, through forests and along glorious beaches. The roads are great, the people are friendly and this would be one hell of an adventure for anyone who’s brave enough to take it on.